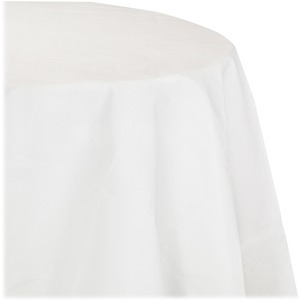 Round tablecover features an attractive appearance to blend flawlessly with any partyscape. Disposable material makes cleaning up fast and simple after any event. Easy-to-use design simply fits over round tables for immediate protection. Durable construction protects tables from stains, spills, scratches and more.